It barely seems like five minutes since we welcomed in the New Year, so it’s quite hard to believe that we’re already into April with Easter just around the corner. Everyone in the office has welcomed spring, with the warmer days and lighter evenings, what’s not to like? The start of spring sees a number of attractions across the county, such as Alton Towers and Thorpe Park, reopen for the year, just in time for the Easter Holidays. A time when most parents will openly admit to struggling to occupy their children without breaking the bank. At Lime, we take extra care when developing experiential campaigns for our clients. While a good event will attract more people to the brand, a great one will emotionally connect with the audience. Our Experiential Team understand just how important the Easter Holidays are for pulling in the family market – our crews are running an impressive 268 family events across the holidays this year! Check out what we are doing for McDonald’s family customers here. There’s lots of attractions in the Midlands alone such as Cadbury World, West Midlands Safari Park and The Black Country Museum, but what are they doing to make themselves stand out from the crowd? The most popular attractions are the ones that go the extra mile to provide an experience for the whole family, and create a real sense of family fun. To make sure we know our target market clearly, we firstly work with our Insight Team, exploring exactly what families are looking for this Easter. We then examine the most effective tools we could use to approach this market. We have found using radio is great for live events, although being costly this has worked on similar projects for the family market. On the other hand social media is a great tool to use when keeping the costs down! West Midlands Safari Park is getting involved in the Easter Fun by holding an ‘Easter Eggstravaganza’ throughout most of April. 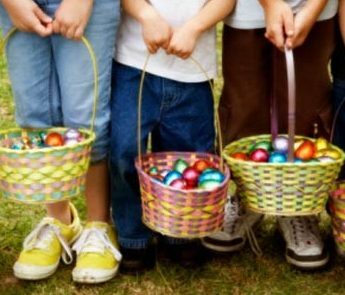 There will be a whole host of Easter activities including an ‘eggsplorer’ trail, a craft club and a chance to meet the Safari Park’s own Easter Bunny, all of which is included in the standard admission ticket. Cadbury’s has stepped up its experiential activity outside of Cadbury World and got into the Easter spirit early this year with the Creme Egg Hunting Lodge, which toured cities across the UK in January and February. The lodge offered chocolate fans the opportunity to immerse themselves in a world of Creme Egg paraphernalia whilst enjoying some delicious Creme Egg specialities such as S’mores, hot chocolate and black forest toastie. With Creme Eggs only available to the nation for a couple of months a year, the demand for tickets was very high and people had to be quick to avoid missing out! Experiential campaigns like these are a fantastic way to engage with customers, giving them a memorable experience, and if done well, they will remember the brand fondly.